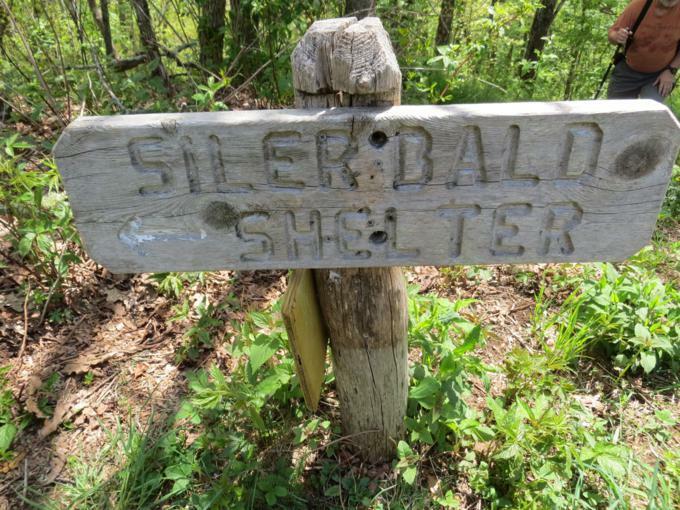 Today's hike was on the Appalachian Trail starting at Winding Stair Gap (highway 64 West of Franklin) and hiking to the summit of Siler Bald and back by the shelter loop. Total hike - 9 miles. 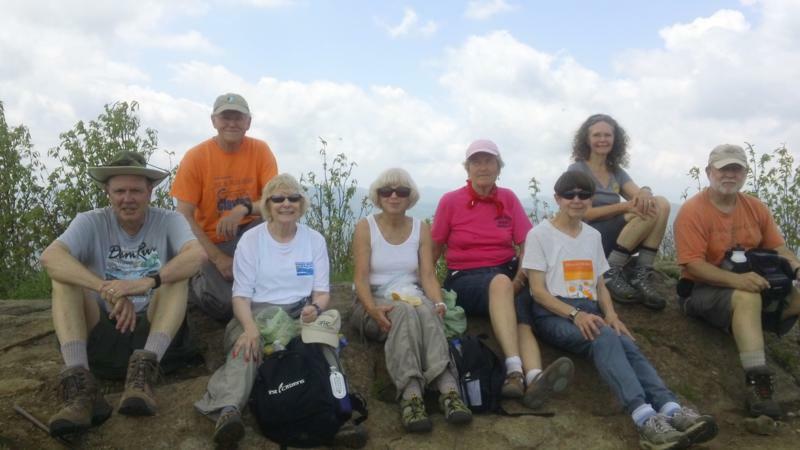 HIKERS - John Bellamy, June Bellamy, Phil Brownrigg, Greta Driggers, Jim Driggers, Pam Euliss, Stephen Gales, Bob Magee, Jeanne O'Connor, Donna Presley, Tony Presley, Vic Robson, Pom Sinnock, Geri Whitaker, Carole Wintle. 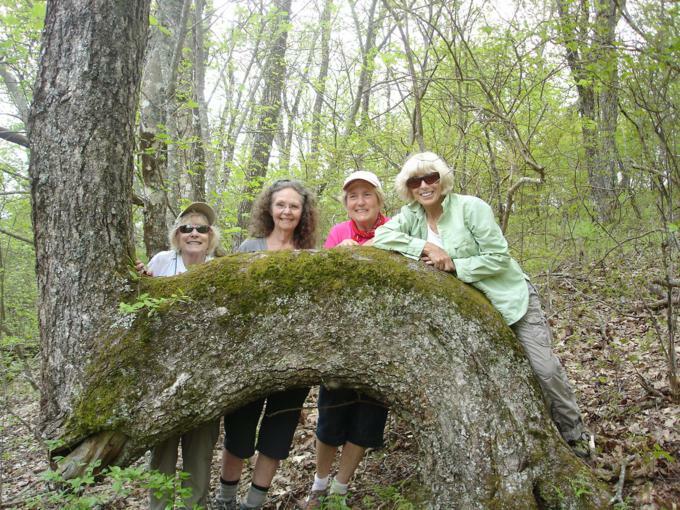 TRAIL INFORMATION - A great hike on the Appalachian Trail in NC. 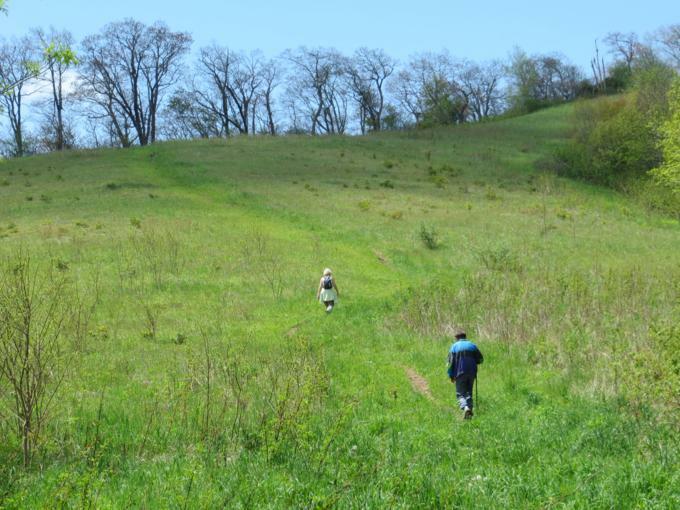 Awesome mountain views, a rich wildflower habitat, a birders paradise, all make this a favorite hike. 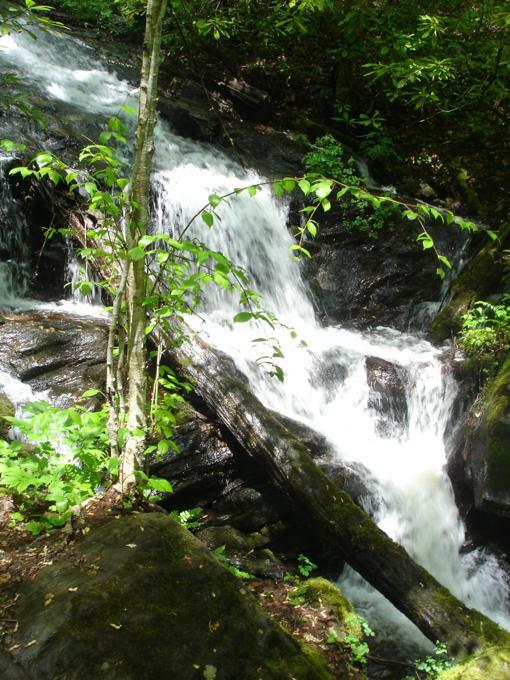 The trail gains approximately 1400 feet in elevation, so some rate the hike strenuous. The last quarter mile of the hike is on a side trail up the grassy slope to the summit. This portion is definitely strenuous but very much worth the effort with fantastic views from the top. Today's hiking distance - 9 miles with large elevation changes - moderately strenuous. Directions: From Franklin, NC, take Highway 64 West for about 10 miles and look for the parking lot on the left. 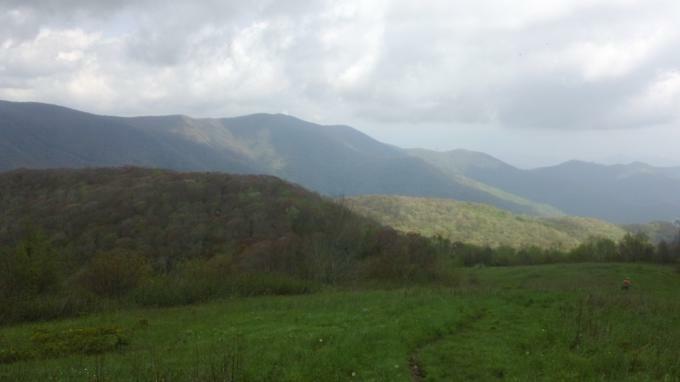 (It is just beyond the large rock cliffs on each side of the road) You will see the Appalachian Trail sign. Another great day for a hike! 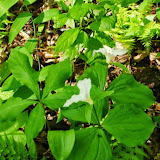 Fair with temperatures ranging from the low 60's to the low 70's F.
FLOWERS IN BLOOM: Bearsfoot,Oxeye Daisy, Showy Orchis, Toothwort, Wild Geranium, Solomon's Seal, False Solomon's Seal, Wood Betony,Jack-in-the-Pulpit, Lyre-leafed Sage, Large-flowered Trillium, Purple Erect Trillium (Stinking Benjamin), Catesbys Trillium, Blackberry, Wild Strawberry, Heart-leafed Golden Alexander, Golden Alexander, Oilnut, Cinquefoil, Buttercup, Squawroot, Purple Violet, Robin's Plantain, Umbrella Leaf, Rattlesnake Weed, Yellow Star Grass, Perfioliated Bellwort, Yellow Ladyslipper, Yellow Mandarin, Wood vetch, Bluet, Foamflower, Indian Cucumber, Mayapple, Meadow Rue, Red Baneberry, White Baneberry, Blue Cohosh, Wood Anemone, Frazier Magnolia and Serviceberry. BIRDS IDENTIFIED: Blackthroated Blue Warbler, Black and White Warbler, Chipping Sparrow, Dark-eyed Junko, Eastern TowHee, Eastern Wood PeWee, Gray Catbird, Ovenbird, Pileated Woodpecker, Pine Warbler, Red Eyed Vireo, Rose Breasted Grosbeak, Tufted Titmouse, Veery. 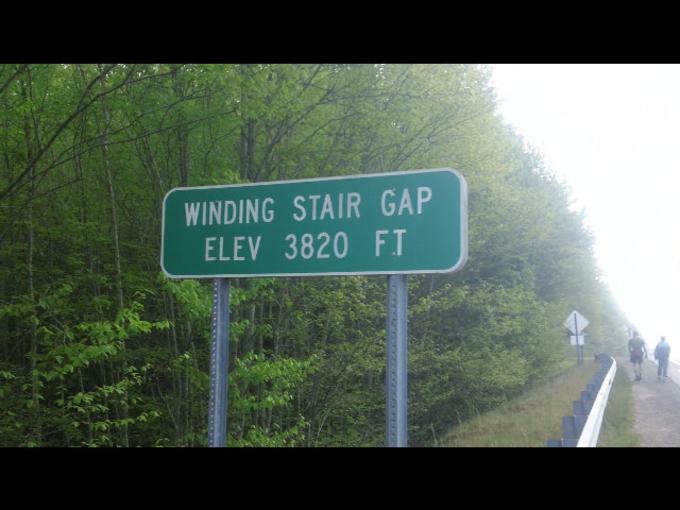 Start of our hike today at Winding Stair Gap on Highway 64 west of Franklin. Nice waterfall early into the hike. 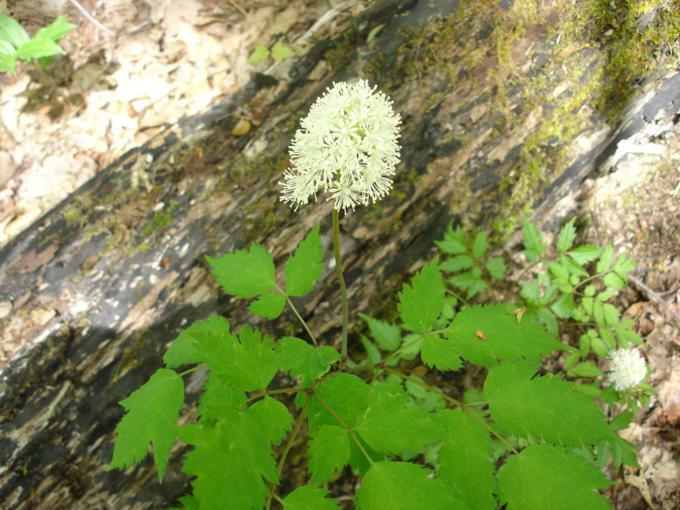 Wildflower of the week! 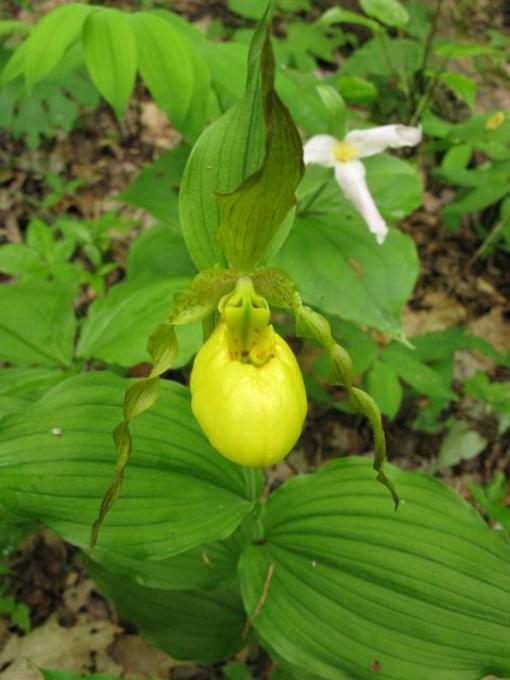 Yellow Lady Slipper. Old tree and young ladies. 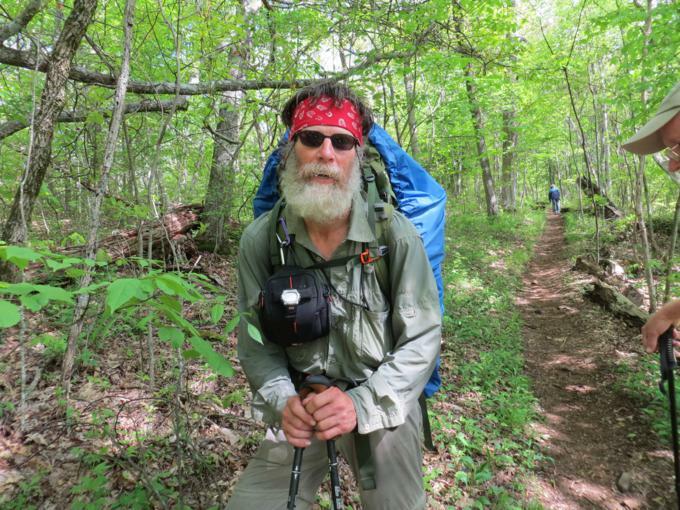 We met this southbound thru-hiker "Sherpa Chief" who left Maine September 23!!! 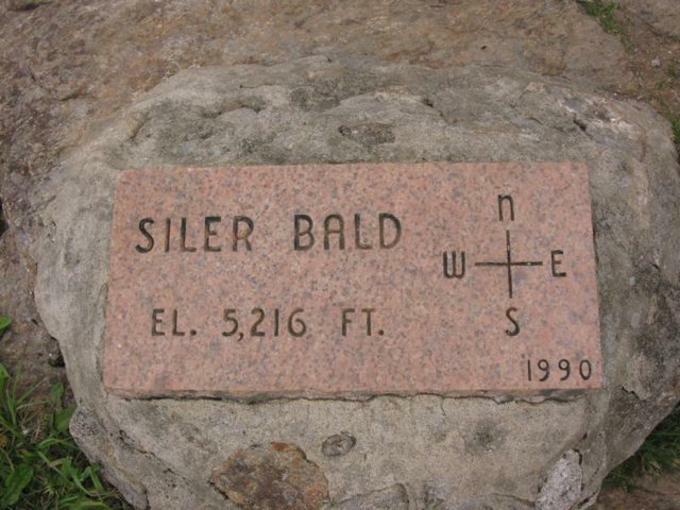 Sign at the base of Siler Bald. Headed up the long grassy slope to Siler Bald. Marker at the summit . Breathtaking views in every direction! 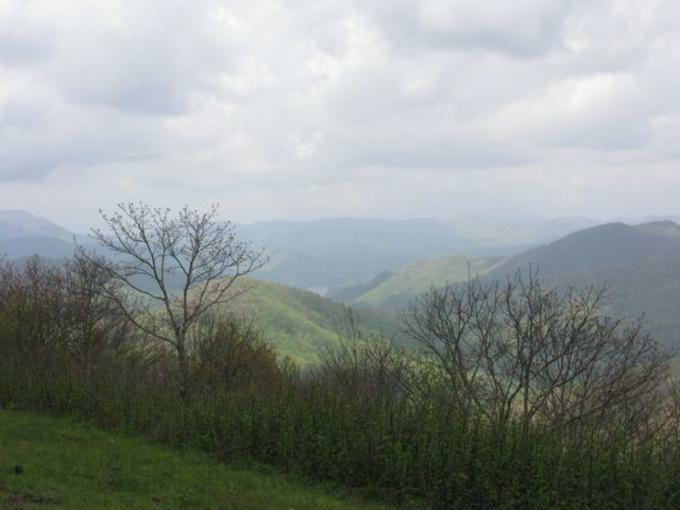 Looking into the valley you can see Nantahala Lake. 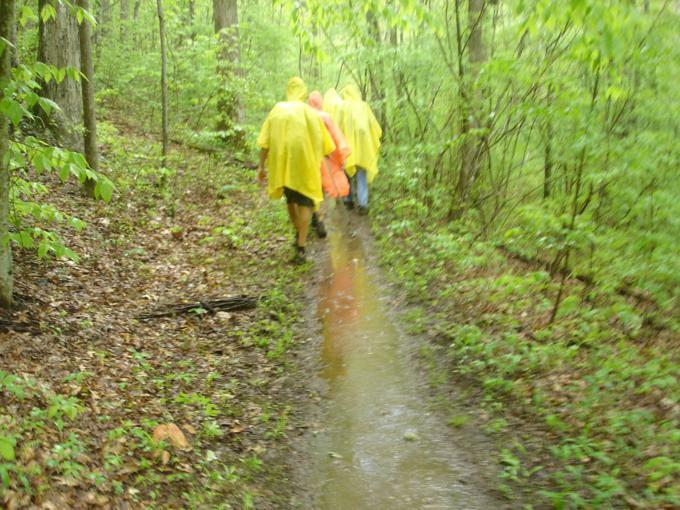 We encountered a rain shower on the way back! Two group photos today. 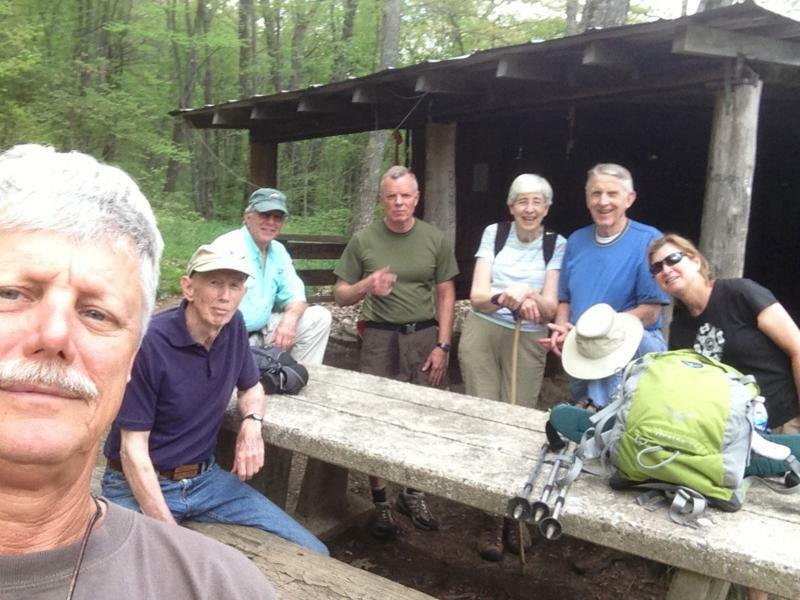 Some of our hikers had lunch at the Siler Bald Shelter. (l-r) Jim Driggers, Phil Brownrigg, Vic Robson, Stephen Gales, June Bellamy, John Bellamy and Greta Driggers. 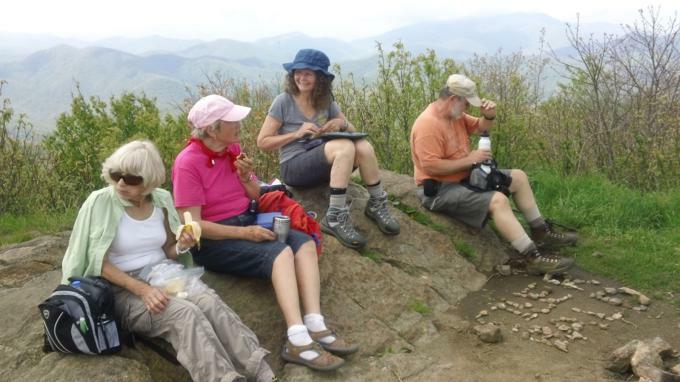 The rest of the OFHC gang for today's hike - (l-r) Pom Sinnock, Tony Presley, Geri Whitaker, Pam Euliss, Jeanne O'Connor, Donna Presley, Carole Wintle and Bob Magee. to Hike Reports OR to Tony's Hiking Page.